The two links, above, are to digitalised, online volumes (17-18, and 25-26) and are worth looking at for the illustrations alone. (2) Encephalartos altensteinii (Eastern Cape Giant Cycad). 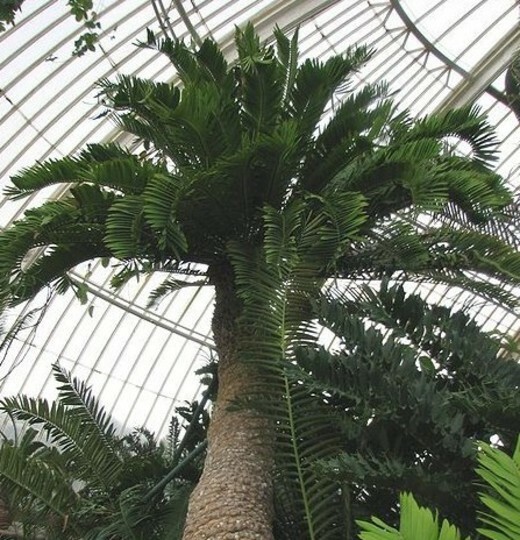 A specimen collected and sent back by Masson is currently Kew’s oldest specimen (1773-75), and is often known as the “oldest pot plant in the world”. I found this “Telegraph” article online, which I remembered reading in the newspaper, at the time. (3) It is said that, at Carl Thunberg’s suggestion, Masson wrote to Carl Linneus (with whom he corresponded for a time, and to whom he sent specimens), asking for permission to have this named after himself. 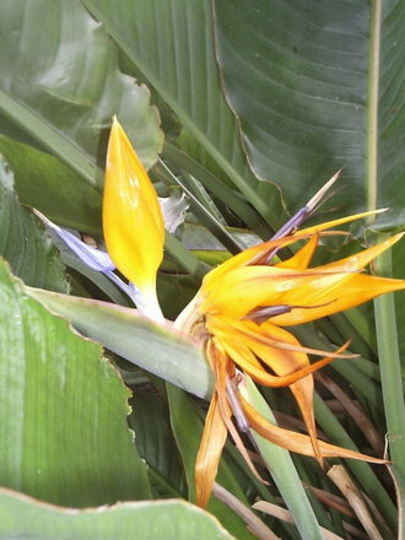 (4)) Strelitzia reginae was named in honour of Queen Charlotte, who, before her marriage to King George III, was Princess Charlotte of Mecklenburg-Strelitz. Next post: Snowdrops at the "Haven"
Great information blog David, Mason had introduced quite a lot did nt he, love the tree fern and Bird of Pardise plant, always wanted one of these. I shall now look at the links and those illustrations. I loved those drawings David, the ones in colour exceptional given me ideas for painting lol. My goodness David I hope you don't either lol you ll never get to work, nor we won't see you here at all until the end hehe. Best if you do find a number in a clump, to leave a link rather than type them all out or copy and paste. Good idea, 6d! Have you started painting yet? Hi Balcony. I'm being careful by listing plants as being "associated" with certain plant collectors, as many of the plants were not first discovered by them, but they have been responsible for introducing into this country/or for growing on on a larger scale. Some plants may be associated with individuals who were first to describe them in journals, but did not bring samples back, etc. (this is where things get rather confusing. Lol David no I m not up to it at present, perhaps in the future hopefully.